I am newish to knitting as you may know. I have finally finished my first project that is not just the regular knit, knit, knit. This pretty scarf took me almost one month of evenings to knit. It’s made of this amazing, shimmery, soft silk that I purchased on Granville Island in Vancouver, http://www.silkweavingstudio.com/. 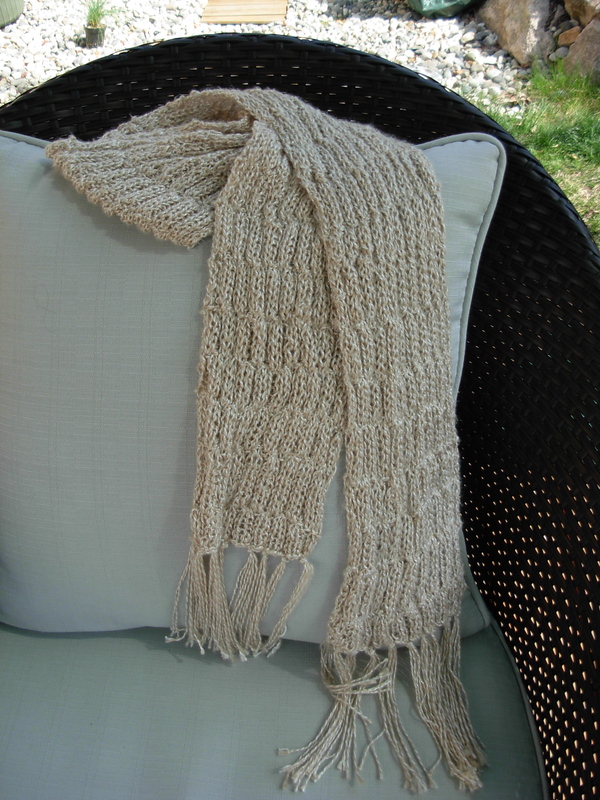 The stitch is just 6 rows alternately knit2 purl2. I sooo like it. And, yes, there are quite a few errors, lots of tension issues, but who cares? I posted it on my blog, didn’t I …so maybe I’m not a perfectionist after all.